WASHINGTON, Jan. 17, 2018 /Christian Newswire/ -- The Moral Outcry Project, through its founder, Melinda Thybault, and The Justice Foundation filed their second Supreme Court Amicus Brief including over 74,000 signers of The Moral Outcry Petition, in No. 16-1140, National Institute of Family and Life Advocates (NIFLA) v. Becerra. The issue in this second case is whether the state can force pro-life pregnancy resource centers to discourage women from using their services by including in all advertising a statement of what services they don't provide. Melinda Thybault, founder of The Moral Outcry Petition, states: "Join us as we raise a Moral Outcry and sign our petition to see the travesty of legalized abortion overturned. I thank the Lord that over 74,000 voices of Outcry are now filed with the Supreme Court." The over 74,000 Moral Outcry Project signers believe that abortion is a crime against humanity and that the Supreme Court should ultimately reverse its abortion decisions such as Roe v. Wade. Click here to read the Brief. 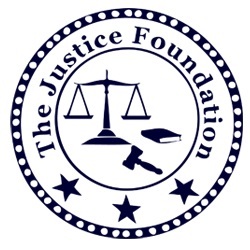 The Justice Foundation was represented pro bono by Catherine Short, Rebekah Millard and Allison K. Aranda of Life Legal Defense Foundation. Click here to read The Moral Outcry Petition. Click here to go to The Moral Outcry website and sign the Petition to add your name in appropriate cases until the Supreme Court reverses legalized abortion. Allan Parker, President of The Justice Foundation stated: "Everyone, but particularly Christians, must oppose this crime against humanity. We must bear witness in love, just as the Reverend Martin Luther King fought courageously against the crimes against humanity committed against his people."